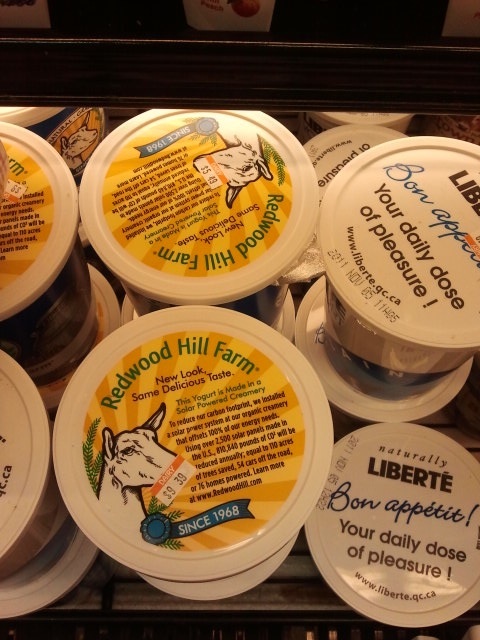 Sebastopol, CA Yogurt makes it to NYC! I nearly squealed with joy when I saw this is my local supermarket here in NYC. I just moved from the SF Bay Area and use to work alongside this farm at the farmers markets there (the smoke cheddar they make is outrageously delicious!) I can’t believe their yogurt is out here! And I saw another friendly farmers market product in the stores here a week before…Three Twins Ice Cream from San Rafael! Pretty shocking and thrilling to find! What a wonderful surprise and treat! Happy you have a few tastes from home to enjoy!